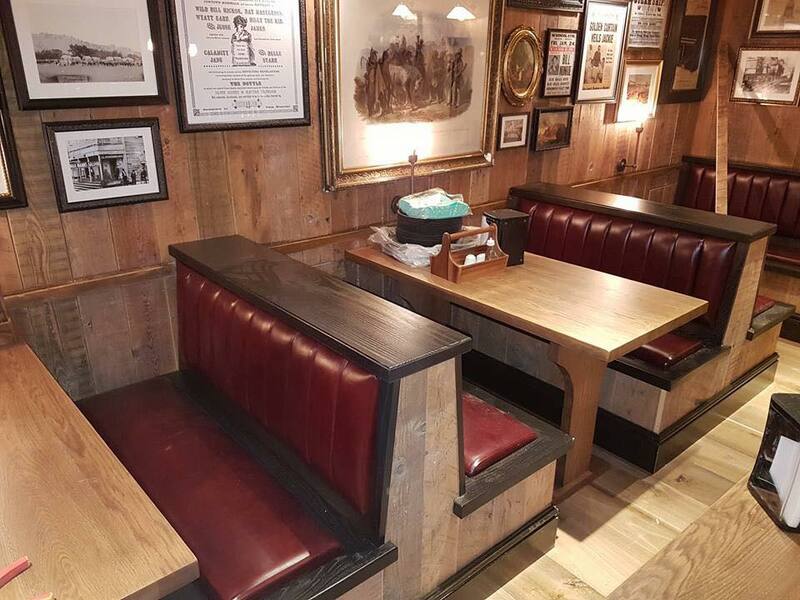 As experts in fixed and booth seating, we showcase beautiful design through highly skilled joinery. 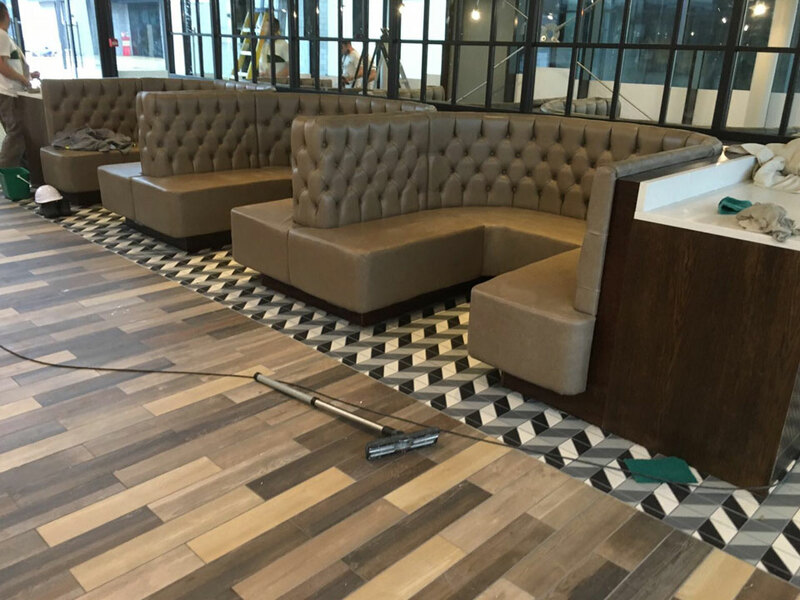 All of our seating is crafted in-house, by our team of expert joiners. We have a wealth of experience with a varied portfolio of clients, and work with venues right across the UK. Within our bespoke service, we provide a detailed consultation to understand your needs. We will work alongside you to create fixed seating which delivers the right impact for your project. Whether working with an existing design or creating something new, our team can deliver bespoke seating for any scale or budget. To speak to us about seating for your venue, you can call us on 01909 563175, or use our contact form. We offer a full service from consultation and design to hand-crafted manufacture and installation. With a specialism in the leisure and hospitality industry, we can work in any venue right across the UK. 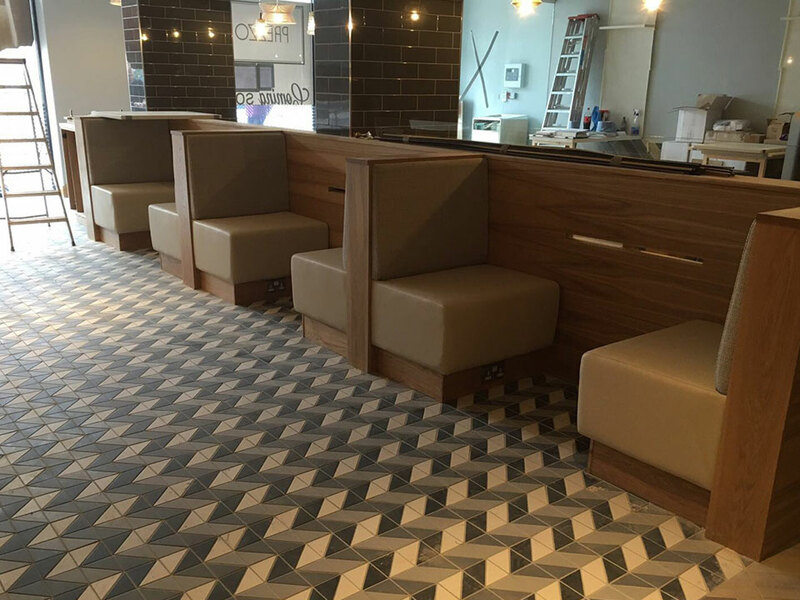 We can deliver all aspects of refurbishment, from fixed and booth seating, to intricate details such as 3D foils, glass quartz and Corian. This allows us to provide a seamless, comprehensive service for our clients, as we’re with them through every step of refurbishment. We understand the importance of individuality and creating a unique impact through the design and execution of your venue interior. This is why we take a consultative approach with our clients, from start to finish. We work hard to understand your needs, in order to create the perfect impact with your refurbishment. We’d love to speak to you about your refurbishment project – call us on 01909 563175 or use our contact form to request a quote. 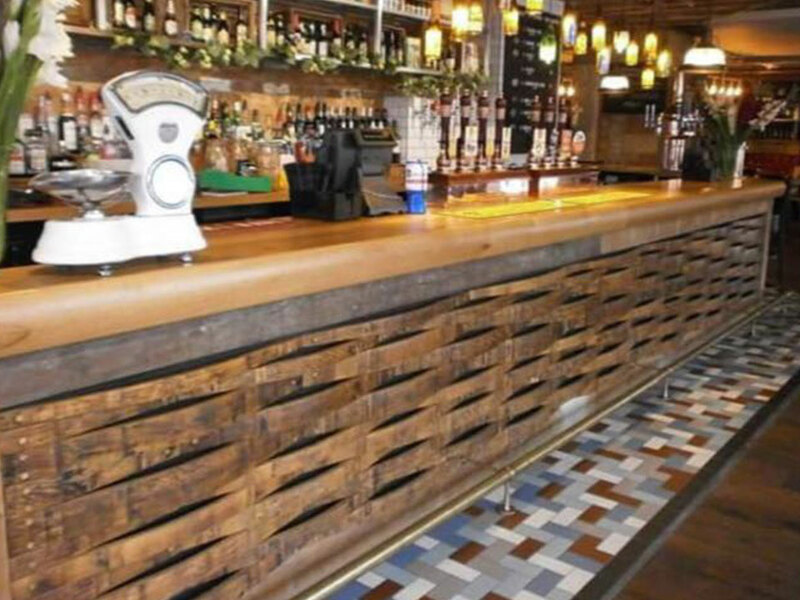 As specialists in the leisure and hospitality industry, we are experts in bespoke bar manufacture and installation. With a solid understanding of what makes successful bar design, we’ll use our expertise to find the right solution for you. 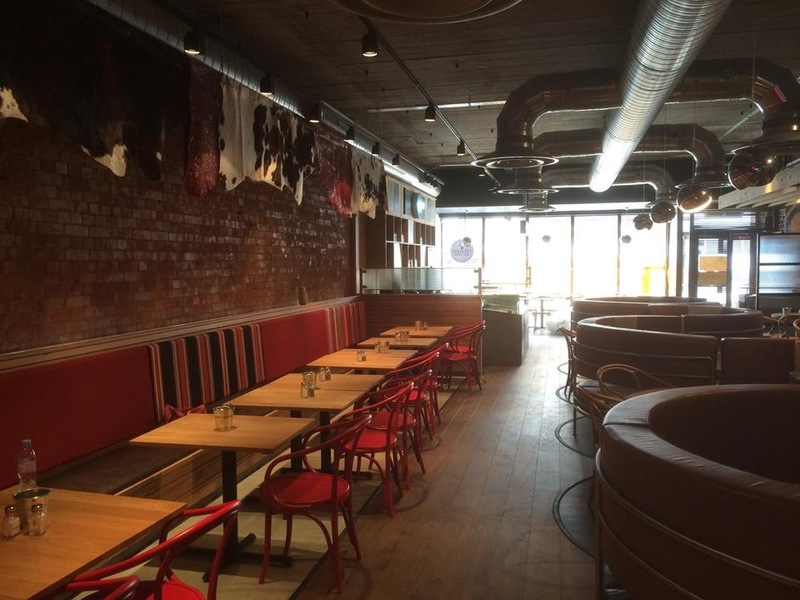 We’ll ensure that your bar creates the right impact for your venue, whilst being practical and highly functional. 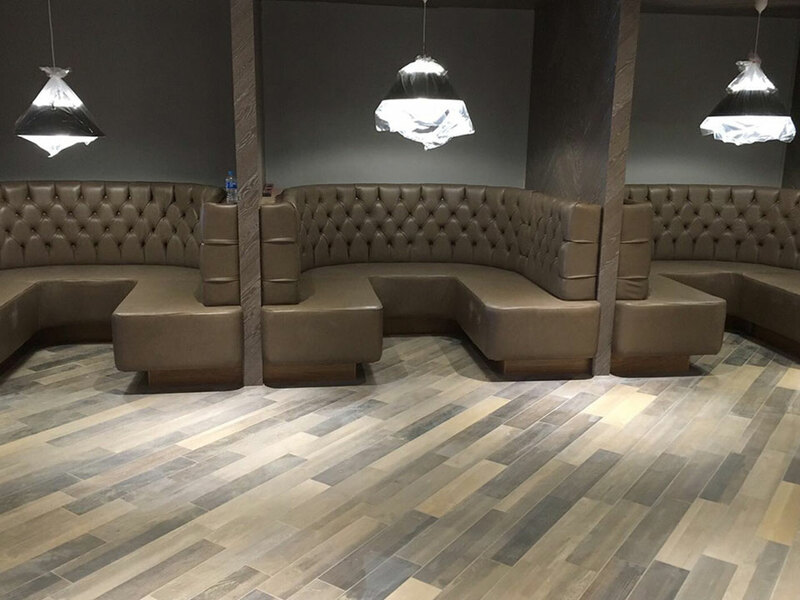 If you would like to speak to a member of our team about bar installation, please call us on 01909 563175 or use our contact form.